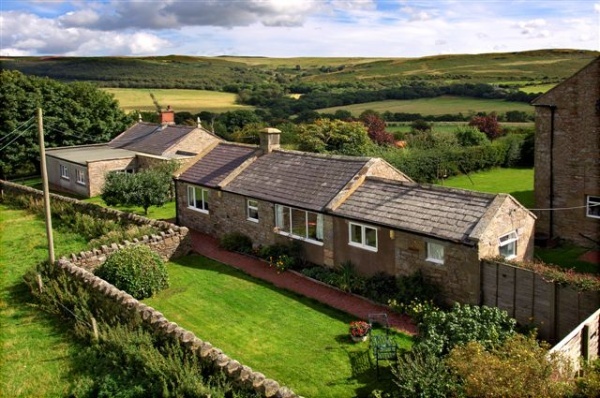 Set in the most scenic countryside, Lumbylaw Farm (National award winning South Devon cattle and Lleyn sheep) is equidistant between Alnwick and Rothbury. and situated half a mile from the tiny village of Edlingham. 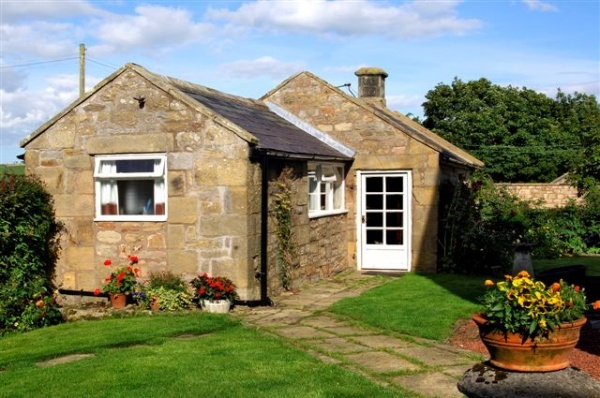 GARDEN COTTAGE is a delightful detached stone cottage. It is centrally heated, with NO STEPS, and has its own garden. It has ONE DOUBLE BEDROOM (King Size bed), large separate sitting room, a kitchen, and a bathroom with shower over bath and grab-rail; basin; toilet; heated towel rail; shaver point. Introduction. 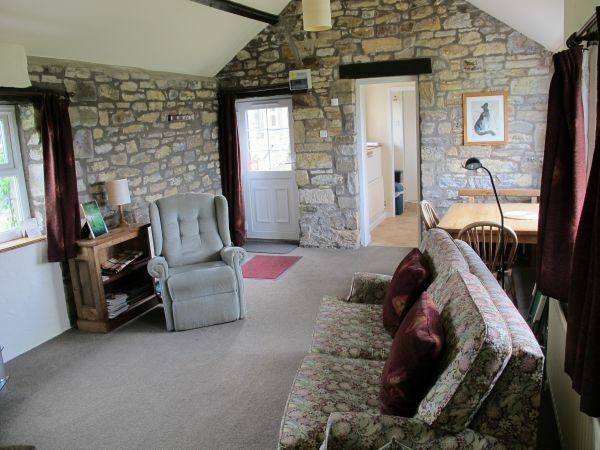 One self-catering holiday cottage on ground floor only, for a couple (one double bedroom). Arrival & Car parking Facilities. There is car parking for two cars. Assistance can be given to help with bags to the cottage. Garden Cottage is 30 paces from the parking area. Surface of path is gravel. If visitors find this difficult to negotiate, they can park in an alternative place where they would have to walk along a stone flagged path of 30 paces. On arrival, visitors will see a sign saying “Cottages”, with an arrow. All areas from cars to the cottage are lit with security lights. Main Entrance & Reception. Visitors are asked to detail their estimated time of arrival within reasonable parameters. The proprietor or a colleague meets guests on arrival. Laundry. Garden Cottage has no clothes washing facilities - proprietor can wash and dry clothes when/if necessary. Leisure facilities. Brochures are placed in the cottage suggesting places of interest. The farm itself also has several very nice walks shown on a map provided. Bedroom. The bed has non-feather duvets, a choice of 4.5 or 9 tog or both together. All pillows are non-feather. Hot-water bottles and hairdryer is provided. Blankets can be provided instead. Bathroom & WC. 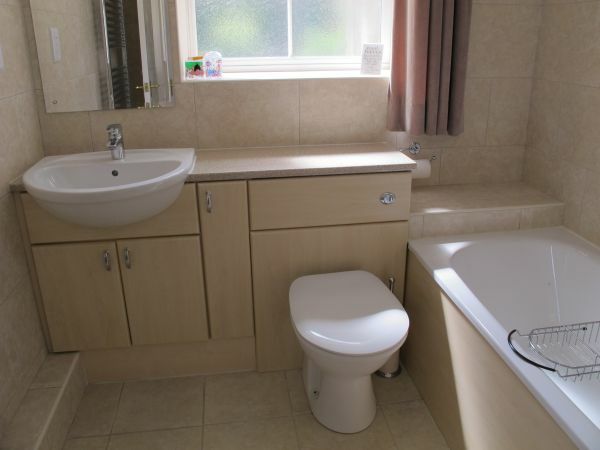 Garden Cottage has: bath/shower over bath (with grab-rail), basin, toilet, heated towel rail, shaver socket. Self-catering Kitchen. Electric cooker, microwave, fridge-freezer, table, chairs for 2 people, and a good range of cookware, crockery & cutlery. TV, machines. The television has instructions in situ. Freeview. DVD Player (please bring your own DVD’s). 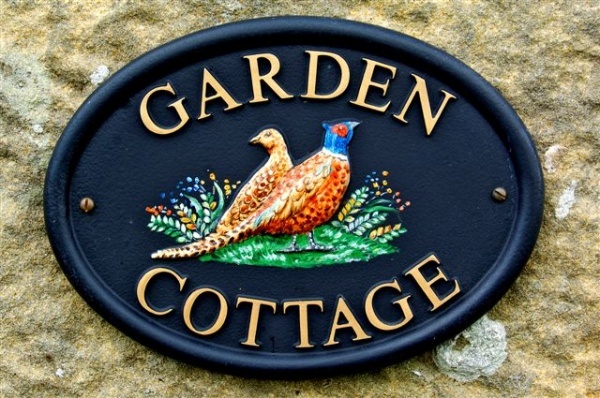 WiFi: Garden Cottage has access to Superfast Broadband. Machines have instructions in situ. Fire alarm procedures are provided. Grounds & Gardens. The Cottage has its own garden, with garden seat. Additional seating in the form of deck chairs, and portable chairs are also provided. Visitors can walk down the farm tracks and farm drive. As it is a working farm, visitors are not encouraged to allow children unattended to enter the farm yard. Additional Information. Prospective visitors can phone Lumbylaw Farm at any reasonable time to ask for additional information. 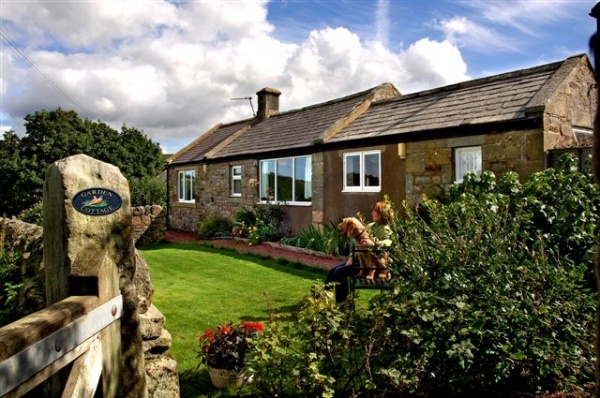 Address: Lumbylaw Farm, Edlingham, Alnwick, Northumberland NE66 2BW. Hours of operation: 0800 hours to 2000 hours. Emergency number (fire, ambulance, police) 999. From the B6341, take the road into Edlingham (not to be confused with Eglingham). Ignore turning to Church & Castle. Continue on and up a hill until you branch round to the right. Drive for 200 metres. Lumbylaw is the first farm on your right. This property is not suitable for use without your own form of transport. No public transport to the village. The cottage is in a tranquil location on a farm just outside of the village, making it very quiet and relaxing. There is everything provided for a relaxing break.Walks are available from the cottage door and views are excellent. We found Lumbylaw Cottage on the internet and we lucky to find it! It's an excellent place to stay. The cottage is very well equipped and maintained. There is plenty of entertainment - walking round the farm includes a good walk along an old railway; there are more and better quality books than we've found elsewhere; the views from every window ae good; we have the entertainment of watching a wide range of garden birds on the feeder outside the kitchen window while eating breakfast. The private garden is pretty. 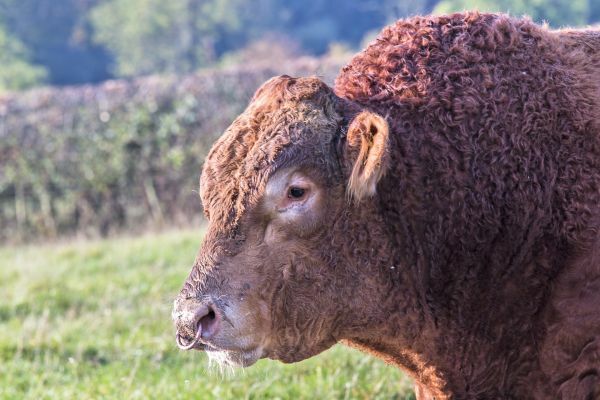 The cattle are handsome, with beautiful bulls in several of the fields, and there is a general feeling of all being well with nature. The owners are friendly and helpful without being intrusive. We rent several houses every year and this is equal with the best of them. We can't wait to come back. Quiet location, views, animals and birds. 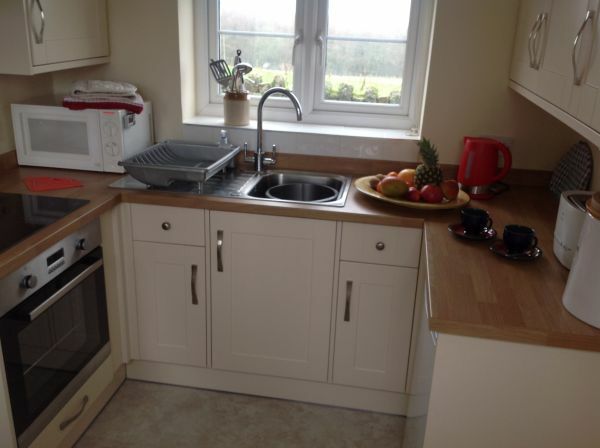 Fully equipped property, clean and well maintained.Friendly owners on site . Access to all farm fields available . 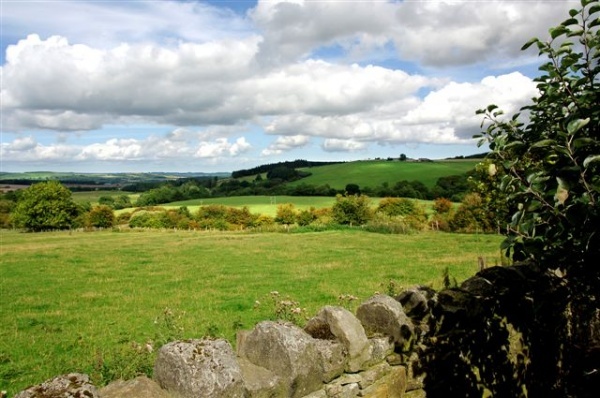 Footpaths to old church and castle ruins and beyond to countryside. We will use this property as a base when we visit Northumberland again. 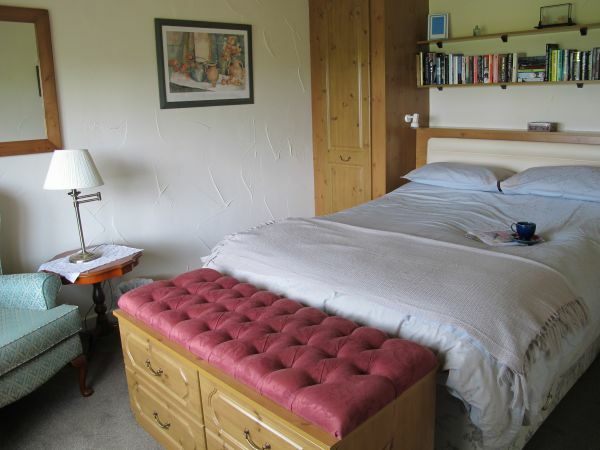 Excellent location, warm, comfortable, well equipped cottage. Friendly, welcoming owners. Our grandchildren enjoyed walking through the fields to the ruined castle and the 11th century church. Easy access to fabulous beaches. Fun from beginning to end! I can't speak highly enough of how good Garden Cottage was and how well we were looked after by Mrs Lee, we'd not mentioned that we both suffer from an allergy to highly pollenated flowers so we explained why we'd placed the beautiful vase of flowers that had adorned the cottage, outside the door. When we got back the next day Mrs Lee had transplanted the Lilies that had been by the door further up the garden, Nothing was too much trouble. The cottage, which was both spotlessly clean and wonderfully comfortable, is in a truly ideal setting overlooking miles of rolling countryside, one side of the cottage overlooks this along with fields of cattle and sheep while the other overlooks the most beautiful garden with feeders filled with birds. It is just so tranquil with the drive being half a mile from the road.The surrounding area has lovely national trust properties that are amazing with loads of beautiful walks.Would we go again? Given half the chance we'd be back tomorrow!